So, the tip is simple. Anytime you are shopping on line, and in the purchase process you see a box that says "Discount Code" or "Coupon Code" or "Promotion Code", open up a new browser tab or window, go to Google, and search "the name of the site you are on" + "discount code". One of my favorite sites that often comes up is RetailMeNot.com which is a "coupon community" where users can post coupons and discount, and report on how reliable they were. 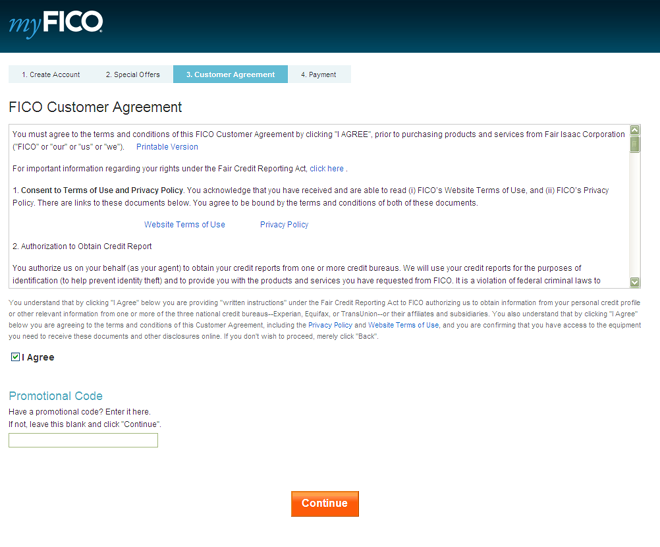 The coupons are presented grouped into "Current Special Offers", "Active Coupons", and "Unreliable Coupons" For MyFico.com, you can find up to 30% off! Jot down the code you find, go back to the window where you are purchasing, and apply your savings coupon. Cha-ching! It works more often than not and saved me a bundle over the years. And, who isn't happy to save a buck or two…especially this time of year? Keep in mind, if you don't see the coupon code box, you can still to google the product or service you are trying to purchase. Often times there are affiliate marketing programs out there and you can find a link from a blog or 3rd party website where you will pay less by clicking through from that origination point. For those of you who are looking to buy a domain name, or looking for web hosting (any Realtors out there looking to start a blog? ), be sure to apply this technique. It has always worked for me with GoDaddy, and hosting companies like Blue Host and Host Monster get cheaper than their already affordable rates.